The NZ Superannuation Fund (NZS) inspired bid to rally global money against social media platforms reflects the growing power of investor engagement practices, according to the head of Responsible Investment Association of Australasia (RIAA). 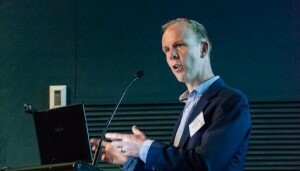 Simon O’Connor, RIAA chief, said the NZS-led group aimed at pressuring Facebook et al to better-restrict the flow of objectionable content online was a prime example of responsible investment in action. O’Connor said the NZS initiative, which to date has signed up 23 entities managing a collective $800 billion, demonstrated investor engagement on environmental, social and governance (ESG) issues could push for real change in the corporate world. “The [NZS] move has achieved critical mass and I suspect it will only grow more,” he said. NZS launched the social media investor engagement effort following the Christchurch mosque shootings last month that claimed 50 lives. Facebook let a ‘live stream’ of the atrocity run for over an hour before shutting down the link. The NZS-led effort coincided with the release of a global report last week showing Australasia as the leading for responsible investment. “For the first time, Australasia (Australia and New Zealand) is the region with the greatest proportion of responsible investment assets relative to total assets under management, with 63 percent of assets in Australasia using a responsible investment approach,” the 2018 Global Sustainable Investment Alliance (GSIA) report says. The GSIA study, which collates data from respective regional groups such as RIAA, found assets under management classified under various responsible investment strategies hit US$30.7 trillion at the start of 2018 – up 34 per cent in two years. Japan, sparked largely by the massive Government Pension Investment Fund shift to an ESG focus, saw the fastest growth in responsible investing over the two-year period followed by Australasia and Canada. The GSIA research found exclusion is the most popular responsible investment strategy, representing some US$19.8 trillion. About US$17.5 trillion is managed under ‘ESG integration’, the report says, with US$9.8 trillion committed to corporate engagement approaches. O’Connor said the regional variations reflect cultural, legal and reporting differences between jurisdictions. However, he said there was growing convergence towards global ESG standards with Europe likely leading the way. Europe prescribes some ESG reporting standards for investment managers in the region with further developments in train, including new climate change fund protocols introduced this year. But rules were not the main driver of growth in the responsible investment, O’Connor said, with demand from both retail and institutional investors on the rise. And since 2012, the GSIA report shows the proportional inflence of retail investors in the market had increased substantially. O’Connor said the NZ responsible investment market was still verwhelming an institutional story but growing consumer pressure was “reverberating” across the fund value chain. We’re seeing more [retail] sustainable investment products, too,” he said. Investors were also looking for more ‘positive screened’ and ‘impact’ products, O’Connor said. In particular, funds tilted towards companies with high ESG scores or those that addressed “thematics” such as water conservation, climate change or ‘green’ property exposure were increasingly popular, he said. “We’re seeing strong growth in products giving exposure to ESG through thematic indices such as ones that focus on the UN SDGs [Sustainable Development Goals] or low-carbon,” O’Connor said. And the sustainable trend was branching out beyond equities to other asset classes including fixed income, hedge funds and even cash. About half of the global responsible investment pool was invested in listed equities, the GSIA study says, with 36 per cent in fixed income, 3 per cent apiece in private equity and property, and the remaining 7 per cent in ‘other’ assets. The ‘other’ category includes cash funds, which can be screened for exposure to underlying banks or countries, O’Connor said. While the constant stream of ESG issues could become a distraction for money managers forced to respond to sometimes-irrelevant consumer complaints, he said good responsible investment policies provided some protection. Aside from the consumer pressure, though, fund managers globally are becoming more aware “of the business case for sustainable investing”, the GSIA report says.